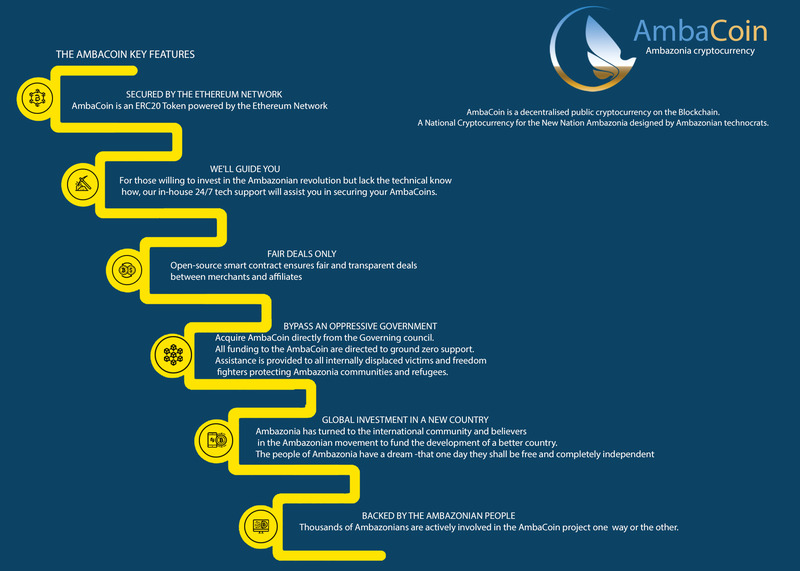 Ambacoin known as the Ambazonian cryptocurrency was created for the Ambazonian economy, The reach in natural resources new nation has 8 million citizens approximately living in the country. The rich resources in stock are reserve such as gold, diamond, agricultural produce, mineral reserves, crude oil, etc. Funds derived will be channeled to assist (IDP) internally displaced persons to the terrorist regime. With this adoption, payment could be sent and received in a matter of seconds. The blockchain technology is also known for its decentralized, cheap, anonymous, transparent, seamless and above all safe transaction executions. With the blockchain’s concealment of identities, the elite members of the society will be safe from dangers from their communities and the risk of getting robbed or assassinated.